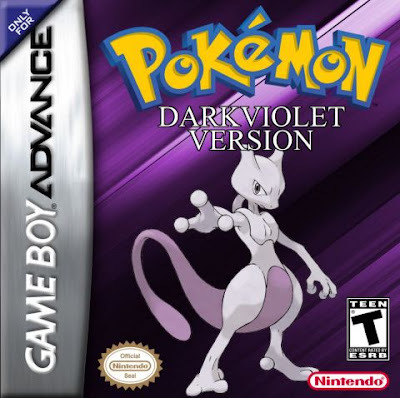 Pokemon Dark Violet is a Monster Capture RPG game published by Chaos Rush released on January 26, 2014 for the GameBoy Advance. Well, yes. It IS a Red remake. A very well done one with a great mapping style, nice remastered music, added moves from later Gens, and a rewritten story that adds Green/Red (opposite gender) into the plot. 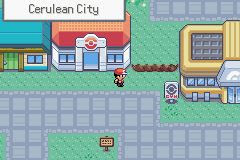 The maps are based on the original Red/Blue games so expect many square buildings. Also Pokemon Tower is embedded into the mountain like the original games. 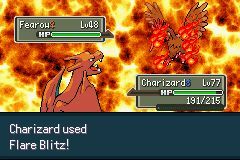 Some moves from 4th gen (like Dragon Pulse, Flash Cannon, etc) have been added with new animations and some existing moves animations were revamped. 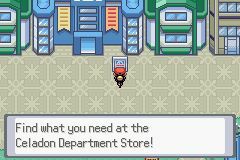 Chaos Rush is the guy who made that DS style 64 x 64 Pokemon Sprites Resource. He knows how to make good looking sprites.